In the world of auto racing, Roger Penske is THE MAN. It’s just that simple. Team Penske’s success in the sport – in multiple series over more than half a century – is unequaled, and the 2018 season was perhaps the best in the organization’s history. Drivers racing for “The Captain” tallied 32 wins last year, including a 17th Indianapolis 500 victory (Go, Will!) and Team Penske’s 500th all-time victory (Go, Brad! ), as well as titles in the Virgin Australian Supercars Championship (Go, Scott!) and Monster Energy NASCAR Cup Series (Go, Joey!). Penske’s road to success began as a teenager in Shaker Heights, OH, when he bought used sports cars, fixed them up and sold them from his parents’ driveway. Some of those cars found their way onto racetracks, with Penske at the wheel. In 1961, Sports Illustrated named him their Sports Car Club of America Driver of the Year, and he competed in Formula 1 and NASCAR before retiring from driving in 1965 to focus on building his first Chevrolet dealership, in Philadelphia, PA. Today, the Penske Corporation is a transportation services company comprising retail automotive, truck leasing, logistics and professional motorsports and employing more than 63,000 people worldwide. The Captain has now set his sights on winning the America’s Cup. 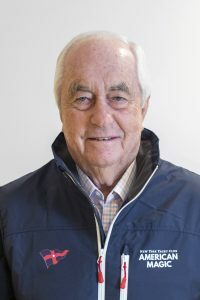 The 36th America’s Cup presented by Prada will be sailed March 6 – 21, 2021 in Auckland, New Zealand, and Mr. Penske generously shared time with WindCheck to discuss New York Yacht Club American Magic’s plan to bring the “Auld Mug” back home. WindCheck: Congratulations to you and everyone at Team Penske for an amazing 2018 season, your induction into the NASCAR Hall of Fame, and a great start to this season! Please describe the culture of winning that you’ve brought from auto racing to New York Yacht Club American Magic. Roger Penske: I’ve always been drawn to competition, and I’ve always had a keen sense of national pride. The America’s Cup is an opportunity to engage both of those interests. From a culture standpoint, there is a great deal that translates from motorsports to sailing. Both reward strong project management, a focus on innovation, a commitment to safety, a team-first attitude and an absolute commitment to winning. WC: Do you sail? If so, please tell us about the sailing you enjoy. RP: I haven’t done much sailing, but I am a longtime boater and proud member of the New York Yacht Club. I can say that my knowledge of sailing is growing rapidly as we work to build American Magic into the best possible Cup Challenger. 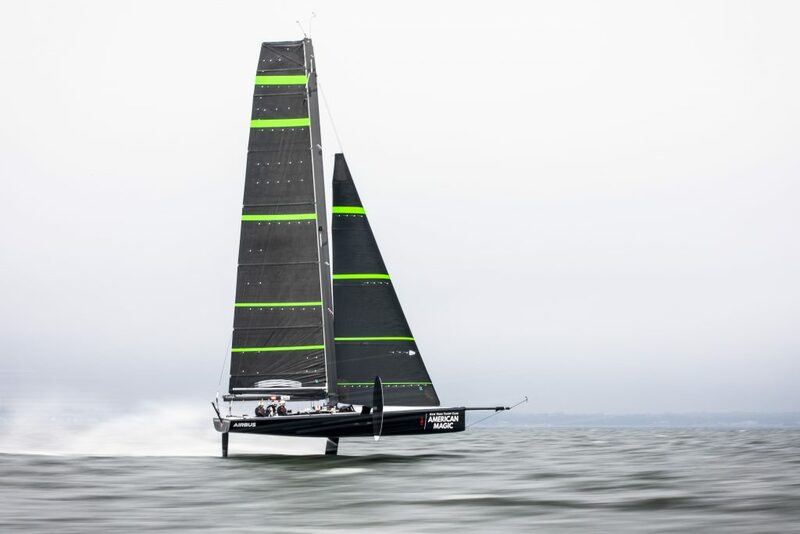 WC: What inspired you to challenge for the America’s Cup, and how did you connect with the other Team Principals of New York Yacht Club American Magic, Hap Fauth and Doug DeVos? RP: The America’s Cup is the oldest trophy in international sports, and I think it’s time that it returns to the U.S., and to the club that started it all. Hap, Doug and I formed a joint vision for an America’s Cup challenge over the course of several months after an introduction by a mutual friend at New York Yacht Club. I also attended the 35th America’s Cup match in Bermuda in 2017, and became interested in the technology involved with modern sailing. In Bermuda, I was also introduced to Dean Barker, who has done five Cups as a sailor and is now our helmsman. Dean is also very interested in motorsports. We continued to exchange ideas after Bermuda, and to discuss ways in which Team Penske’s success could translate into the America’s Cup. WC: What are you learning about sailing as an activity (and for most of your team, a life), sailors, and the intensity of the America’s Cup? RP: The America’s Cup is one of the hardest trophies to win in the world, which for me is a big part of the attraction. This is not a fair fight, with the defending team being able to pick the boat, the racecourse, and the rules. The task in front of us is to win anyway, and we certainly have a team capable of doing just that. I have been impressed with the dedication and hard work of our team so far. Terry Hutchinson, our Skipper, has put together a group that will get the job done. WC: Emirates Team New Zealand won the 35th America’s Cup handily and may be the most formidable defender in Cup history. What will it take to defeat them? RP: It will take assembling the right people, managing time well, allowing innovation and the latest technology to make its way onboard the boat, and a cohesive team mindset. The defending team is very tough, there’s no doubt about it. But I also know that American Magic can win in 2021. WC: In his superb 1975 book The Unfair Advantage, the late, great Mark Donohue defined that term as Penske Racing’s meticulous car preparation, ingenious engineering, and the unprecedented professionalism the team brought to the Trans-Am, Can-Am, and Champ Car series. 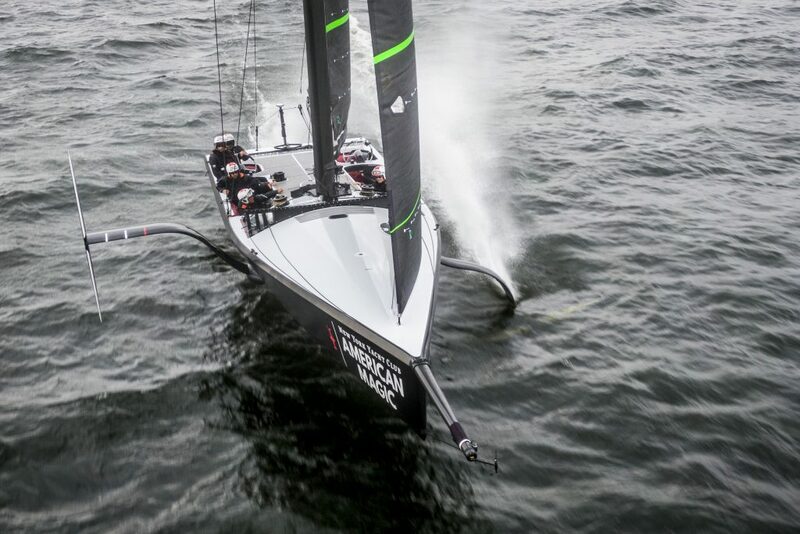 Yacht racing is of course a very different game, and the America’s Cup’s changed in ways few could’ve imagined when the New York Yacht Club relinquished possession of the trophy in 1983, but will American Magic have a few surprises for the Kiwis? RP: We have a lot of creative and experienced designers, builders and sailors working on building the fastest possible boat. Mystery and surprise are two of the best aspects of America’s Cup racing, and it should be interesting for everyone to follow the progress of American Magic over the next two years. WC: Thank you very much, Mr. Penske. We’re looking forward to New York Yacht Club American Magic’s victory in Auckland almost as much as the 37th America’s Cup in Newport, Rhode Island! Special thanks to New York Yacht Club American Magic Communications Director Will Ricketson for facilitating this interview.